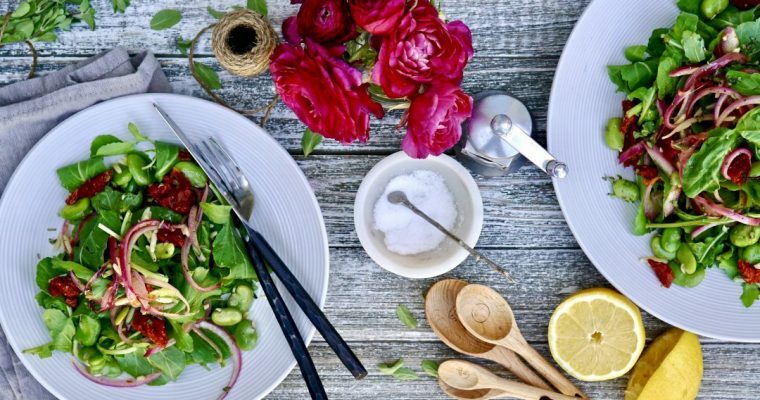 Fave bean puree, a clean, earthy and truly delicious summertime treat. Fava beans are simply underutilized in my opinion. I adore favas, but due to their need for both shelling and peeling, they can be a labor of love. Fava beans, also know as broad beans or horse beans, are packed with protein and can be traced all the way back to Ancient Rome. 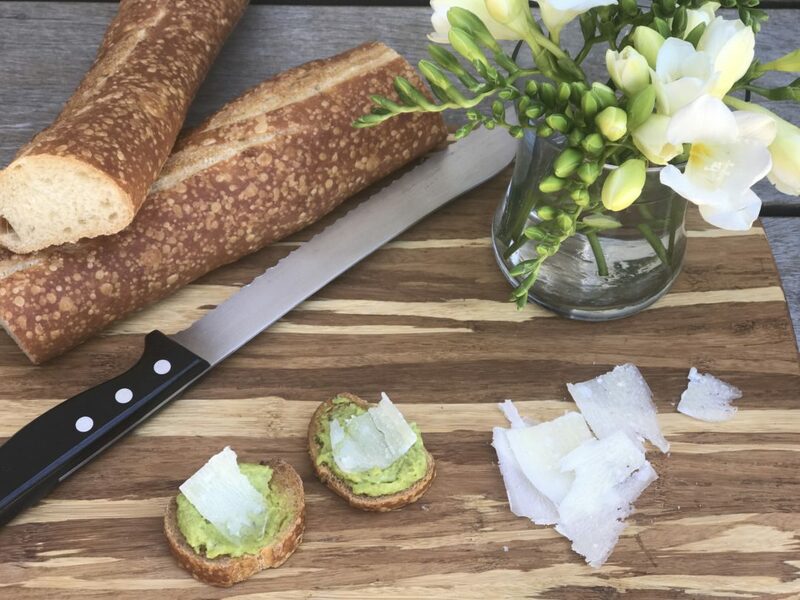 With their vibrant green color, fava beans are dense with nutrition, contain no saturated fat or cholesterol, and are loaded with dietary fiber. 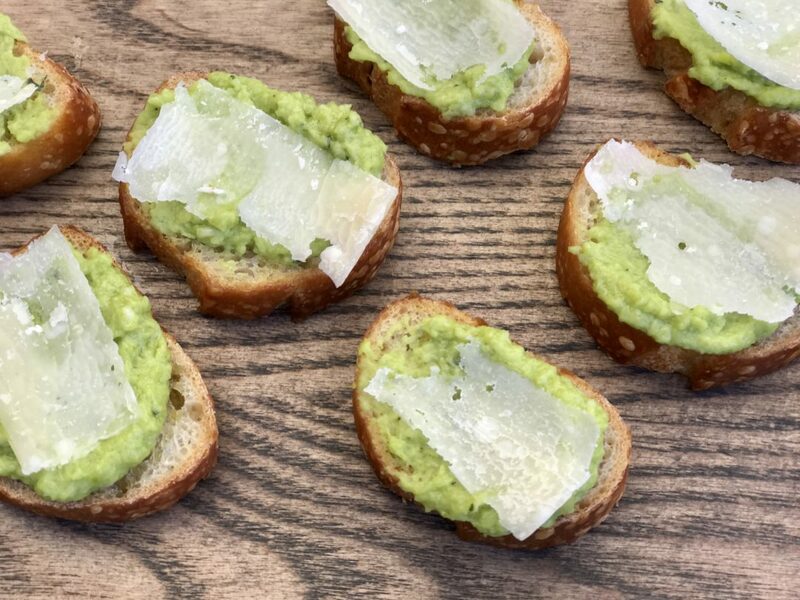 Fava beans also make for a fantastic, easy hors d’oeuvre, which is what I did with them here. After removing the fava from the thick outer pod (an excellent kid task, if you’re looking to put one to work), you cook them for only a few minutes, squeeze them from their skins, and mash them. The result is worth the effort. Martha Stewart has a great simple video demonstrating how to peel and cook fave beans easily, be sure to check it out here. This is a straightforward fave bean puree recipe of mine that allows the flavor of fava to dominate. The beans’ subtle nutty flavor is complemented by pairing with an aged cheese. 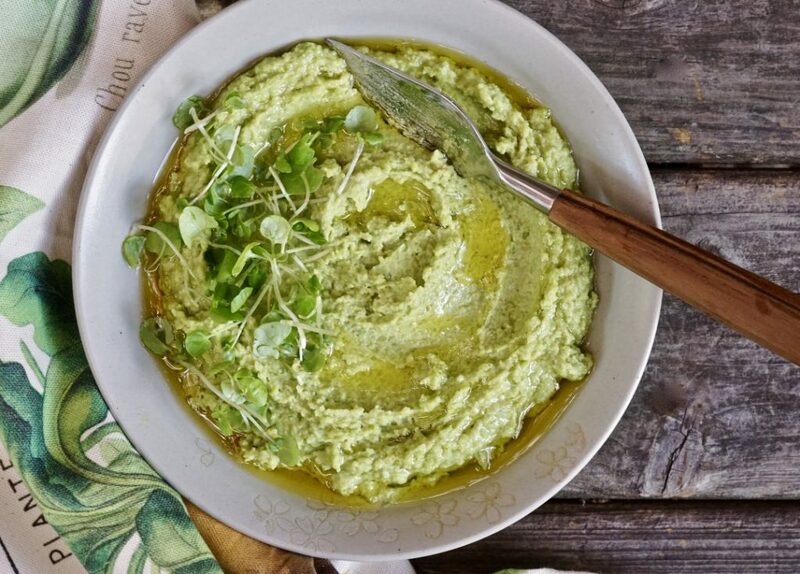 Mashed with fresh lemon juice, Parmesan cheese, and a drizzle of olive oil, this fave bean puree makes a great vegetarian option for any dinner party. 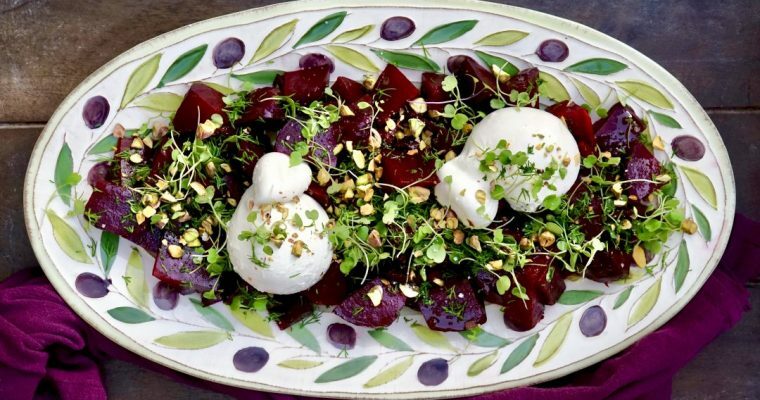 Other than dealing with the fava’s themselves, this is a quick make-ahead recipe that holds well overnight and can be assembled easily moments before guests arrive. 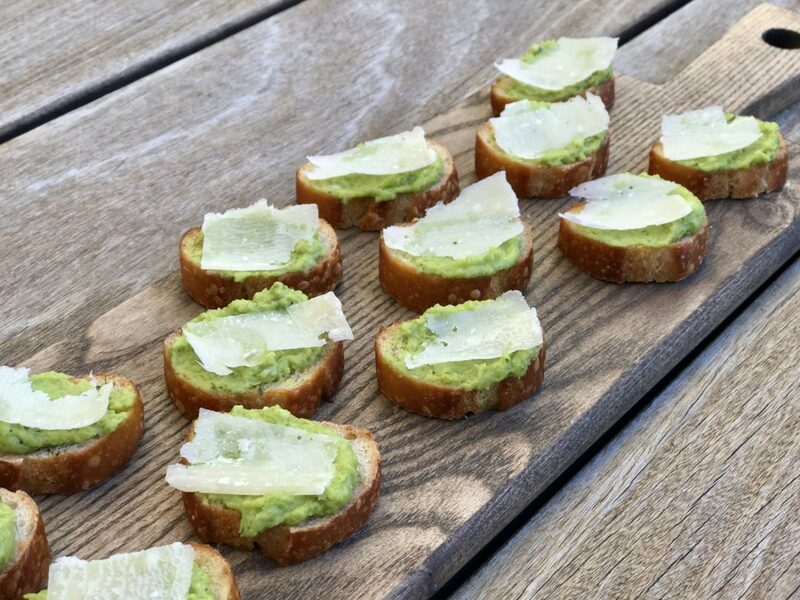 Pair with a nice, crisp white wine with mineral flavors, such as a Sancerre, which compliments favas beautifully. But don’t stop there: cooked fava beans kept whole are a welcome addition to almost any salad or pasta, and you don’t need a ton to make an impact. In fact, sometimes less is more with these little gems. Step 1 Pre-heat the oven to 400 degrees F. Line a baking sheet with parchment paper and set aside. Step 2 Using a kitchen mixer, such as a Cuisinart, fitted with a metal blade, add the cooked, peeled fava beans, garlic, lemon juice and Parmesan cheese and pulse to blend. Step 3 Slowly add the olive oil and pulse to incorporate. Step 4 Season to taste with salt and pepper. Set aside. Step 5 Using a pasty brush, lightly brush one side the sliced bread. Place on the prepared backing sheet and lightly toast for about 8-10 minutes. 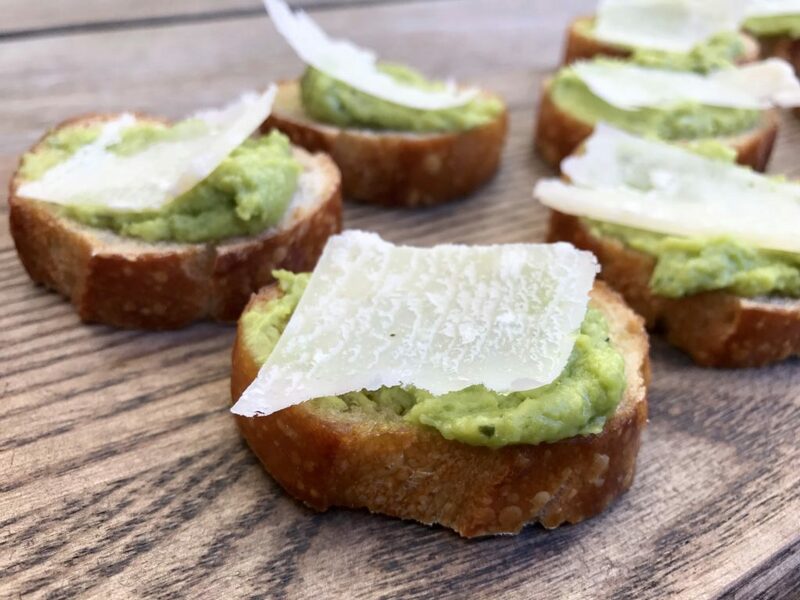 Step 6 To serve, spoon a generous amount of the fava bean puree on the toasted bread and top with a shaving of Parmesan cheese, use a vegetable peeler to make thin shavings.